Copyright (c) 2016 EphPod. All rights reserved. What it is: ephPod is an, easy-to-use and free iPod manager application for Windows that allows you to add songs to iPod sync-free. With the advance of iOS technology, ephPod joined forces with CopyTrans. ephPod recommends the CopyTrans programs which are now the industry standard for managing iPhone, iPad and iPod without iTunes and offer a break from Apple’s closely guarded ecosystem. An easy-to-use and free Windows application to manage older iPods. To get the most out of your iPhone, iPad and iPod, ephPod recommends using the CopyTrans tools. 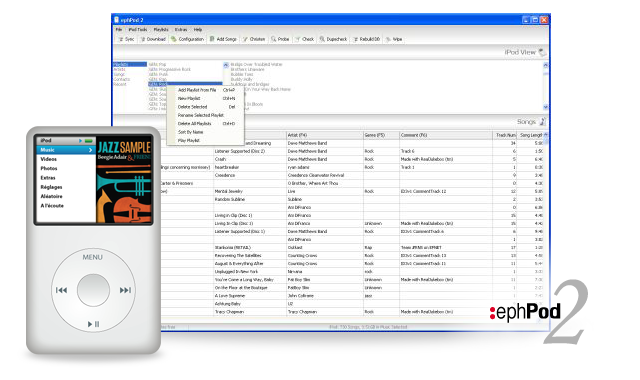 For many years, ephPod was among the best free iPod backup and management tools. It still receives a lot of attention and people use it to back up and manage older iPod models. However, ephPod can’t manage and backup new iPhone, iPod and iPad models released after 2006. This is why it joined forces with the CopyTrans programs. The easy way to transfer iPhone music and videos to your computer. You went through a devastating PC crash and lost all iTunes music? Still have songs on your iPhone? Easy! A single click fills up iTunes with songs and playlists form your iPhone. 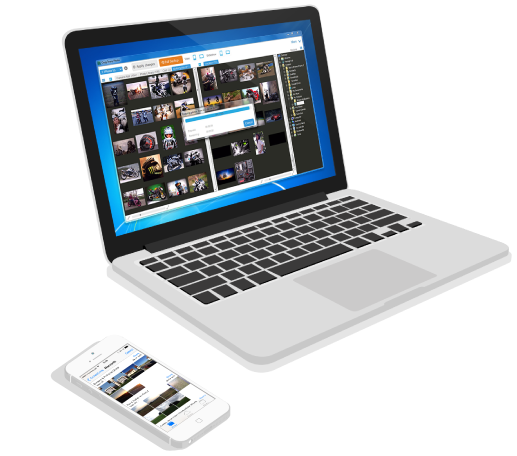 CopyTrans is the flagship solution to copy audio and video tracks as well as playlists from iPhone, iPod or iPad to iTunes or to a PC folder of your choice. CopyTrans matches the contents of the iTunes library with the contents of the iPhone and imports all the needed tracks including artworks, star ratings, playcount and tag information. The easiest way to manage iPhone contacts, messages and notes. 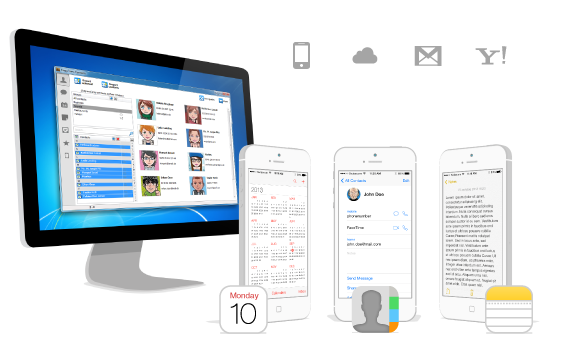 CopyTrans Contacts is the all-in-one solution for iPhone contacts, messages, calendars and notes. Looking to transfer contacts and appointments between iPhone and Outlook, or maybe between Android and iPad, or yet again from an old iPhone to your new one? CopyTrans Contacts comes to the rescue. Apart from easy to use offline contact and calendar management, CopyTrans Contacts also features powerful cloud connectivity so you can move iPhone contents between iCloud, Gmail, Yahoo or even a custom cloud account. iPhone Contacts made easy! Your iPhone photos. Your way. CopyTrans photo is the ultimate tool to transfer photos between iPhone, iPad and your computer. Too many photos on your iPhone? Never run out of space – get CopyTrans Photo and back up all photos and albums to PC in one go. You can then delete multiple or all iPhone photos at once in a snap. CopyTrans Photo allows you to seamlessly transfer photos form PC to iPhone and organize iPad photos in albums. Quickly review iPhone photos on your computer and create slideshows. It’s everything you need for your iOS photos. All in one place. 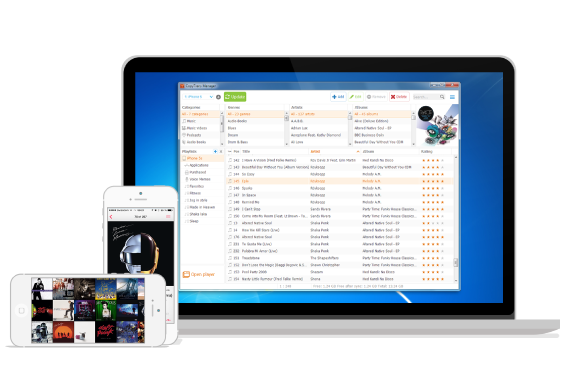 The best free lightweight iTunes alternative yet. 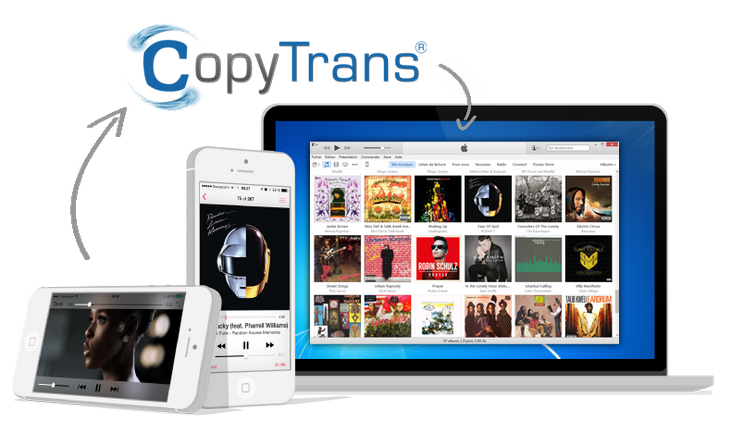 With CopyTrans Manager you can transfer music to iPhone without iTunes. Tired of iTunes? Add songs and custom ringtones to iPod on the go without the risk of erase and sync. CopyTrans Manager is remarkably easy to use. CopyTrans Manager also helps you edit song titles, artwork, ID3 track tags and helps you manage iPod playlists. Simply create a playlist, rename it and drag and drop your songs from PC to the iPhone. Easy!